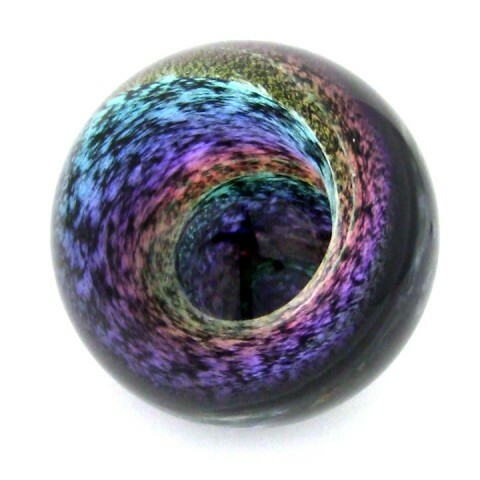 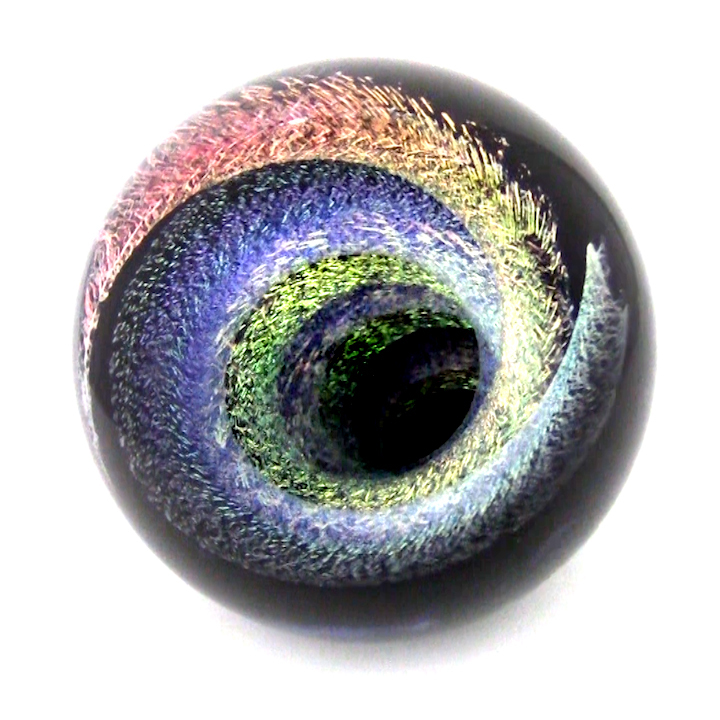 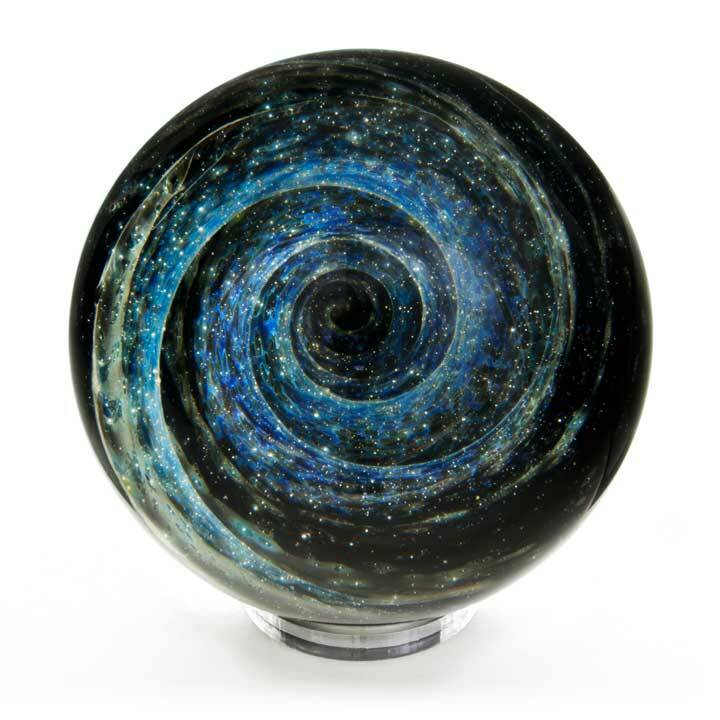 Limited edition Dark Planets include gold and silver on the surface of the glass, creating depth by pushing and blending the metals for a look that’s out of this world. 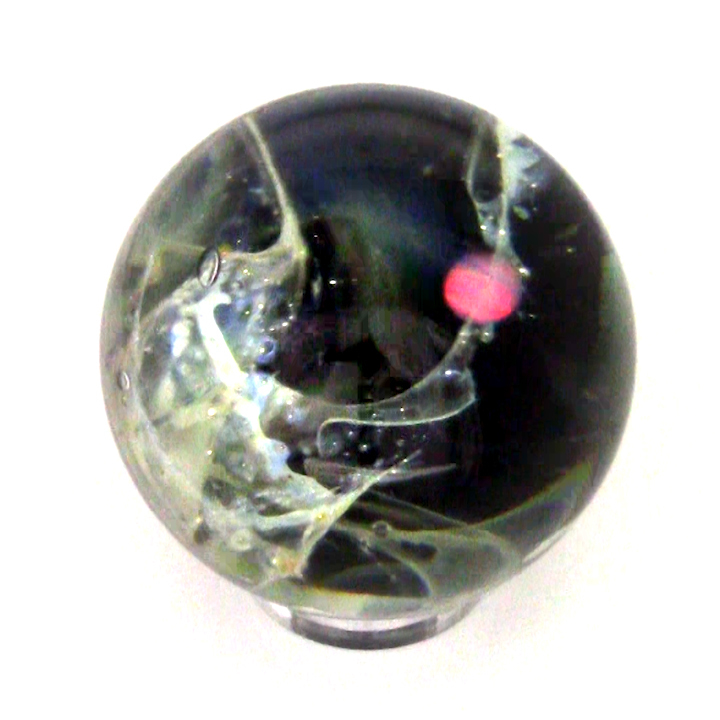 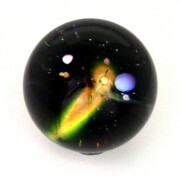 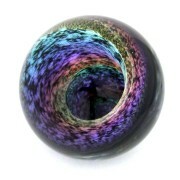 These are the only “full-surface” Pernicka Spheres available. 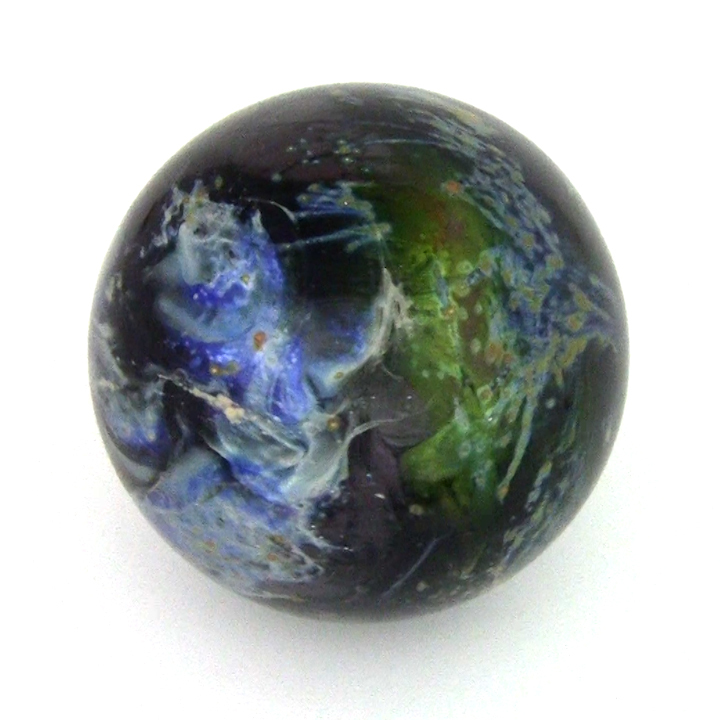 A new addition to the Pernicka Spheres collection, the Stars and Planets series includes precious round opal gemstones as planets, while 99.99% pure gold, silver, and platinum make up the stars. Flowing space clouds are created by including thin splines of metal oxides as the hard borosilicate glass is shaped by an open flame over 3000 degrees. These experimental spheres are very limited in number.